The following paper will be presented at the 8th Annual Rethinking Marxism Conference, September 2013, on “The Limits and Potential of Negativity: Marxism, History, and Affect” panel. In his introduction to George Jackson’s infamous Soledad Brother, Jean Genet claims that the revolutionary enterprise of “Black America” in the 1970’s could only be born out of resentment, hatred, disgust, and rage. Linking these negative affects to the formation of the Black Panther Party, its Marxism, and its dual focus on communal self-provision and direct action, this paper theorizes the productive political potential of oppositional thought and feeling. On the one hand, this paper surveys Dr. Huey P. Newton’s political rhetoric and conceptual vocabulary. Here I examine how the dissemination of negative affects are productive of communal cohesion and oriented toward political action. On the other hand, I give a reading of the Black Panther Party’s aesthetic practices, theorizing the relation between self-making, self- expression, negative feeling. While I account for the Party’s aesthetic cohesion (afro’s, leather jackets, etc. ), I am particularly interested in its visual culture. 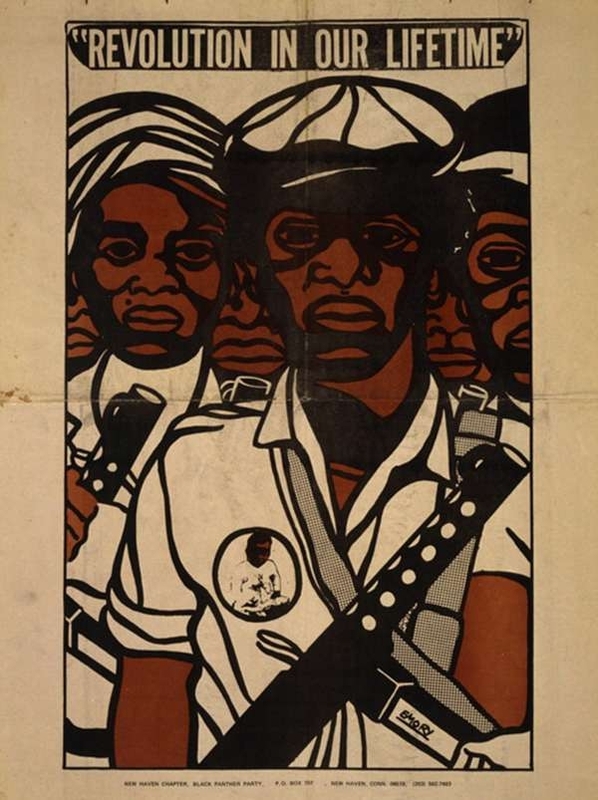 Here I examine a series of posters aligned with the Party’s most recognizable slogans: “All Power to the People,” “Move on or We’ll Move on Over You,” and “Revolution in Our Lifetime.” In examining the relation between slogan and image, I follow Genet’s argument through to consider the Party’s attempt to control their own image, but also by uniting individuals and communities by the proliferation of hostile images and rhetoric.